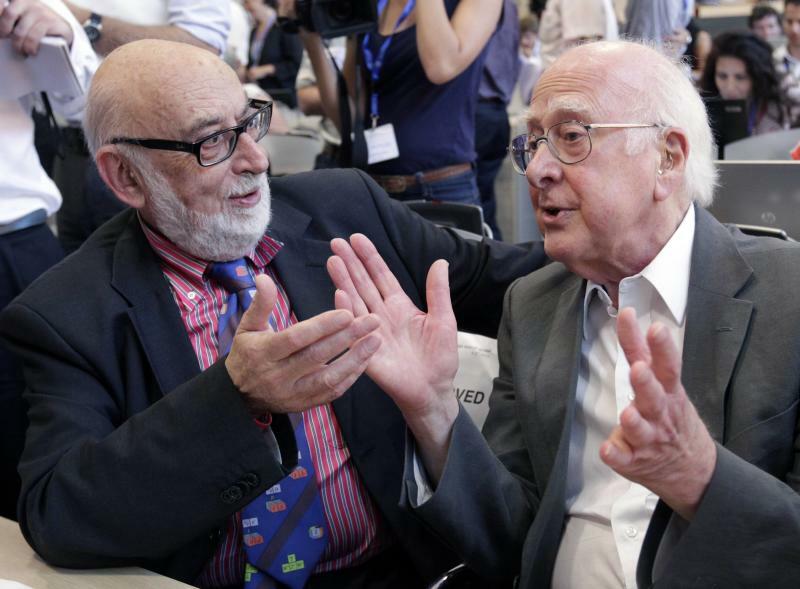 STOCKHOLM (Reuters) - Britain's Peter Higgs and Francois Englert of Belgium won the Nobel Prize for physics on Tuesday for predicting the existence of the Higgs boson particle that explains how elementary matter attained the mass to form stars and planets. The insight has been hailed as one of the most important in the understanding of the cosmos. Without the Higgs mechanism all particles would travel at the speed of light and atoms would not exist. Half a century after the scientists' original prediction, the new building block of nature was finally detected in 2012 at the European Organization for Nuclear Research (CERN) centre's giant, underground particle-smasher near Geneva. 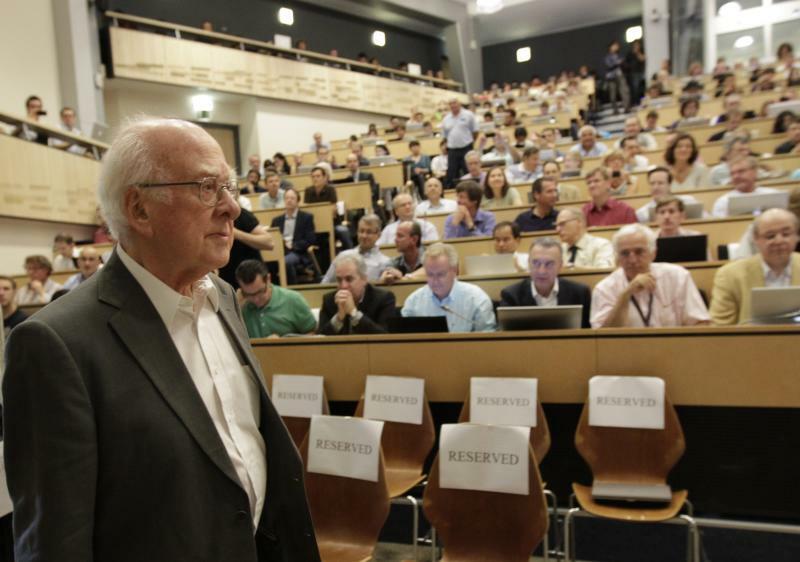 "I am overwhelmed to receive this award," said Higgs, who is known to shun the limelight and did not appear in public on Tuesday despite winning the world's top science prize. "I hope this recognition of fundamental science will help raise awareness of the value of blue-sky research," he said in a statement via the University of Edinburgh where he works. The two scientists had been favorites to share the 8 million Swedish crown ($1.25 million) prize after their theoretical work was vindicated by the CERN experiments. To find the elusive particle, scientists at the Large Hadron Collider (LHC) had to pore over data from the wreckage of trillions of sub-atomic proton collisions. The Higgs boson is the last piece of the Standard Model of physics that describes the fundamental make-up of the universe. Some commentators - though not scientists - have called it the "God particle", for its role in turning the Big Bang into an ordered cosmos. Higgs' and Englert's work shows how elementary particles inside atoms gain mass by interacting with an invisible field pervading all of space - and the more they interact, the heavier they become. The particle associated with the field is the Higgs boson. The Royal Swedish Academy of Sciences said the prize went to Higgs and Englert for work fundamental to describing how the universe is constructed. "According to the Standard Model, everything, from flowers and people to stars and planets, consists of just a few building blocks: matter particles." Although finding the Higgs boson is a remarkable achievement - and one which Higgs once said he never expected to see in his lifetime - it is not the end of the story for physicists trying to understand the structure of the universe. Scientists are now grappling with other mysteries such as understanding the nature of dark matter, which accounts for more than a quarter of the universe, and dark energy, which is believed to be the driver of cosmic expansion. CERN Director General Rolf Heuer said he was "thrilled" that the Nobel prize had gone to particle physics. He said the discovery of the Higgs boson at CERN last year marked "the culmination of decades of intellectual effort by many people around the world". Some physicists were surprised that there was no recognition for the CERN teams that discovered the new particle, since there had been speculation of a prize for CERN as an institution. The will of Swedish dynamite millionaire Alfred Nobel limits the award to a maximum of three people - harking back to an earlier era when science was conducted by individuals or very small teams. However, thousands worked on detecting the particle at CERN and a total of six scientists published relevant papers in 1964. 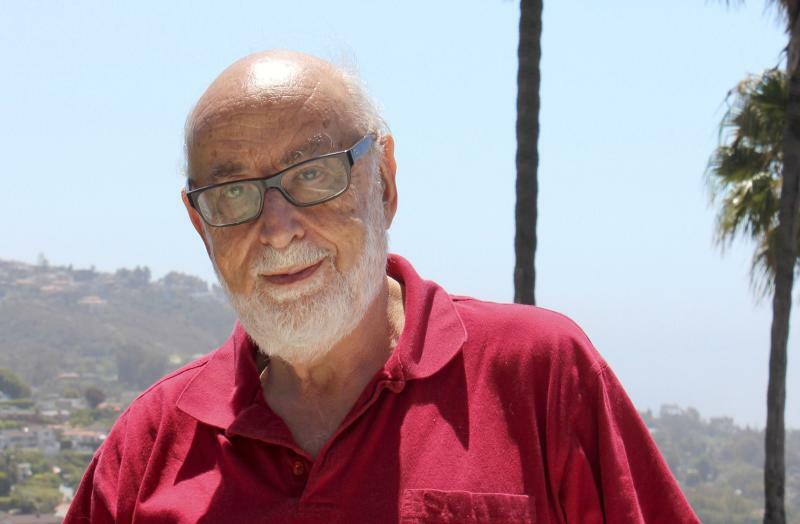 Englert, 80, and his colleague Robert Brout - who died in 2011 - were first to publish; but the now 84-year-old Higgs followed just a couple of weeks later and was the first to explicitly predict the existence of a new particle. Similar proposals from American researchers Carl Hagen and Gerald Guralnik and Britain's Tom Kibble appeared shortly afterwards. Kibble said it was no surprise that he and his colleagues were not included in the Nobel honor since "our paper was unquestionably the last of the three to be published in Physical Review Letters in 1964 - though we naturally regard our treatment as the most thorough and complete".